You’ll find us tucked away in Ajax St in Shirley, a huge hidden garden down a long drive – look for our flags! Kidsfirst Kindergarten Shirley is a bright and welcoming space where fantastic learning takes place every day for children aged 2 – 5 years. We provide place-based education that connects our tamariki to our local heritage, landscape, cultures and experiences. 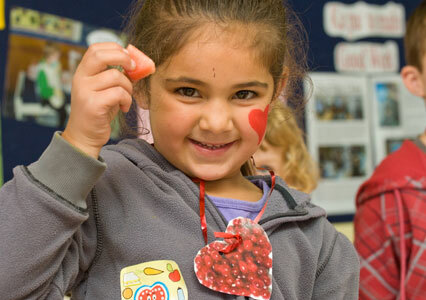 Kidsfirst Shirley reflects the multicultural and diverse community that we are at the heart of. Indoors, our kindergarten is spacious, warm and filled with natural light, providing a calm, open, expansive and inspiring learning environment which enhances and encourages collaborative ways of working for our learners, with areas set up for children to explore and engage in play experiences with and alongside each other. 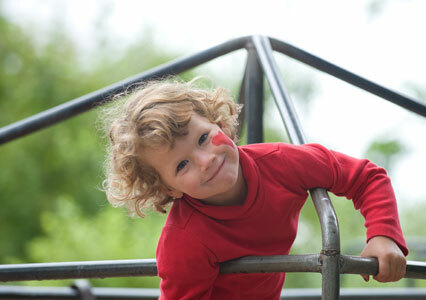 Children can choose from a wide range of resources and equipment: there are quiet, creative and imaginative play areas. Learning occurs in all spaces at the child’s pace. Our beautiful, large outdoor area promotes the children's interactions with nature, and our wide open spaces provide the opportunities for children to challenge and grow their physical capabilities through active exploration. A calm, yet busy environment exists here. Green grass, barked areas, gardens, areas to experience physical challenges such as climbing trees, and equipment specially designed to support children’s physical growth and development are features. Our backyard space excites curiosity with natural discoveries, changing seasons and the insects and birds which reside here. 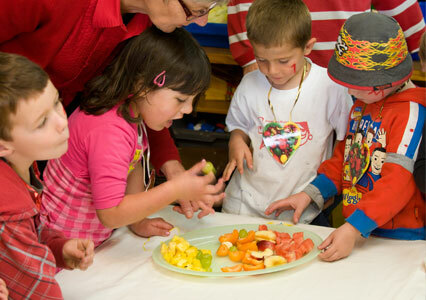 At Kidsfirst Kindergartens Shirley, tamariki are encouraged to make their own choices and take responsibility for their learning in a supportive, safe environment. Our tamariki are empowered by our skilled and experienced teaching team to take risks, develop independence, work alongside each other, respect diversity and problem solve. We actively support children’s learning, their interests, skills and abilities, acknowledging and valuing every person in our kindergarten as a teacher and learner. This supports the tikanga principle of ako: that the educator is also learning from the child, and that the learner and whānau cannot be separated. We would recommend that you enrol for at least two full days –building up to five days. This gives our teachers time to really get to know your child and gives consistency around supporting their learning. It’s hard for our teachers to do this with just a few hours here and there.